The Early Church Fathers of the Western Christian Tradition are widely known, but the Early Desert Fathers of the Orthodox Church (The Writers of the Philokalia) are not as widely known or understood. What makes them unique is their unusual asceticism. Most of them became hermits and lived in the caves of Egypt to uncover the deepest secrets of the inner soul of man. It was in this profound aloneness and heightened dispassion, that these Early Desert Fathers found God. 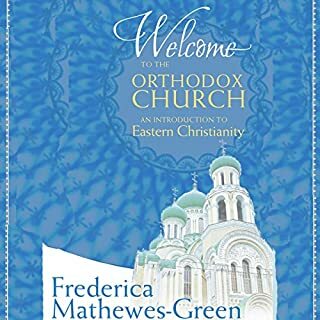 I have read or listened to several books by Mathewes-Green about Orthodoxy. 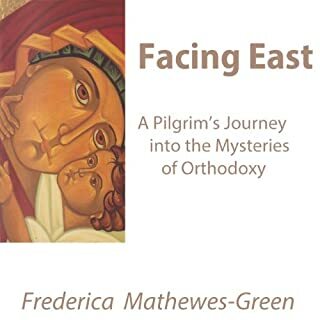 Her background as a Protestant before converting to Orthodoxy makes her an important link to helping Protestants like myself understand an important, but culturally different, stream of Christianity. 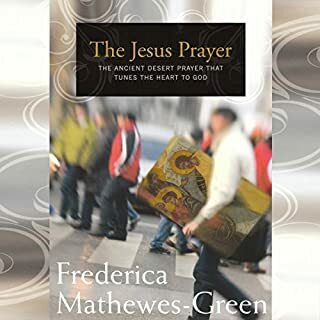 Like Thomas Oden, Mathewes-Green, makes the argument that the historic practices of the church should be the root of our modern practices of faith. 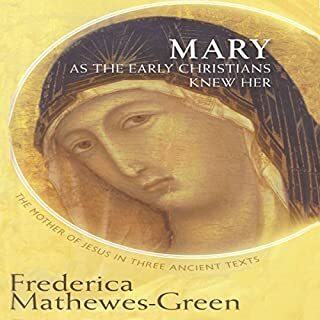 While Oden mostly attempted to bring modern Protestantism an awareness of historic theology and practice, Mathewes-Green actually moved into a stream that still practices a liturgy that is largely unchanged from early centuries. I really do appreciate hearing about this bias toward ancient Christianity. I think it is important. But I also have not been convinced that our Christianity should be still be practicing a largely ancient liturgy as Orthodoxy is. I think the ancient theology and practice should be biased, but that we need the ability to culturally reinterpret that liturgical imagery when necessary. The bias should be ancient, but not fixed. What I have not been sufficiently introduced to is how Orthodox understand the changes of early generations of Christians. There was an enormous amount of change in the early generations of the church. Early church didn’t really have scripture as we now understand it, they didn’t have organized churches as happened within a couple of generations. The concept of clergy and bishops significantly changed. 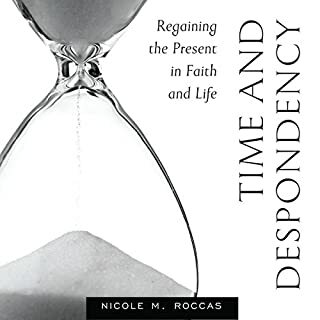 Immediate baptism changing to a long waiting period before being baptized is a huge change, not to mention the addition of infant baptism relatively early. The excellent book, The Doctrine of the Trinity in the Early Church by Franz Dunzl details how much cultural changes within the church were driving the theological language of the church. 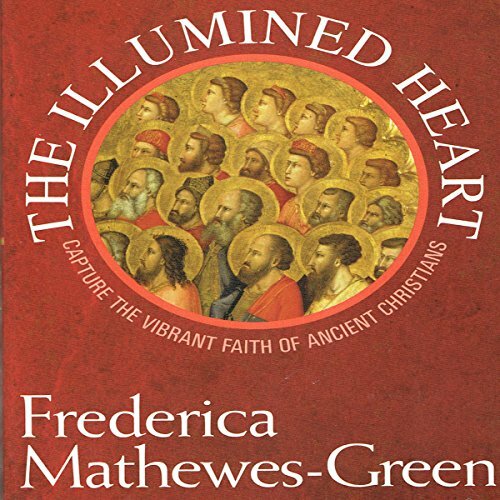 But even with some very significant questions that I don’t really have answered (and haven’t spent a lot of time exploring), I find these short books by Orthodox writers about their stream of Christianity to be very helpful, although often leaving me with more questions than answers. What a lovely gem of a book that dives deep in the heart. 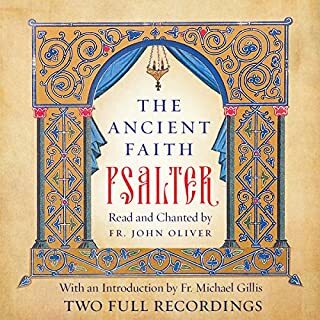 For those new to the ancient faith and those who've been around a while, it meets us where we are. It is a refuge, a cool drink, a deep, cleansing breath on this spiritual road to 'the illumined heart'.